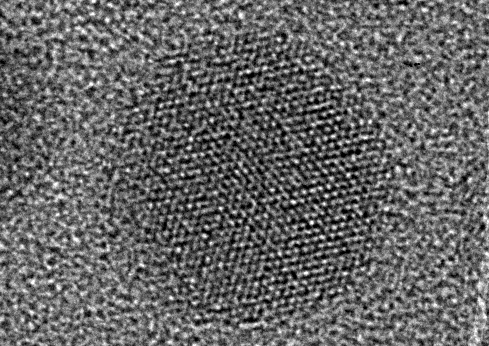 The core/shell CdSe/CdS quantum dot imaged on this picture has a diameter of 12nm. It has been taken with a Transmission Electron Microscope at magnification 400,000x. Due to a favorable orientation of the crystal axes, one can distinguish the electron-opaque atoms.